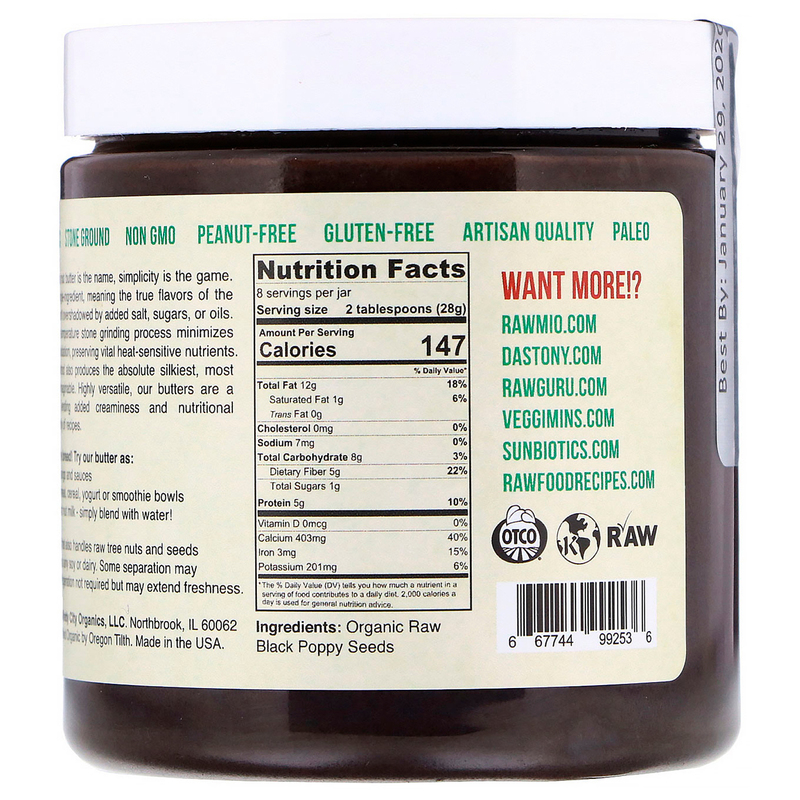 At Dastony great nut butter is the name, and simplicity is the game. Our butters are single-ingredient, meaning the true flavors of the nuts and seeds aren't overshadowed by added salt, sugars or oils. Our signature low temperature stone grinding process minimizes heat, friction, and oxidation, preserving vital heat-sensitive nutrients. This ancient method also produces the absolute silkiest, most decadent texture imaginable. Highly versatile, our butters are a pantry essential, lending added creaminess, and nutritional goodness to a variety of recipes. A base for instant nut milk - simply blend with water! Some separation may occur. Stir well. Refrigeration not required but may extend freshness. 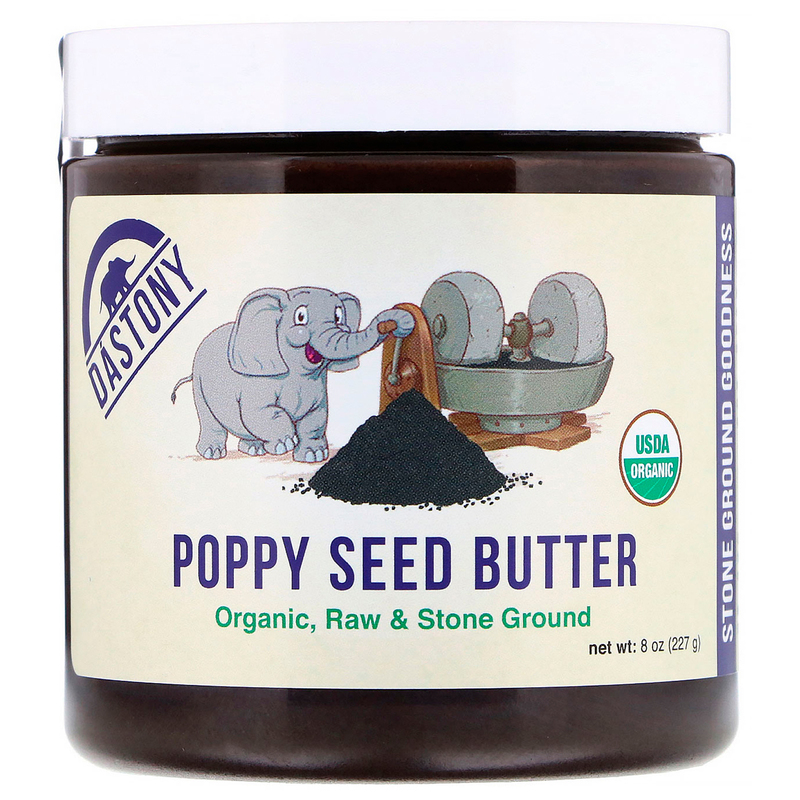 Organic raw black poppy seeds. Crafted in a facility that also handles raw tree nuts and seeds but does not process any soy or dairy.